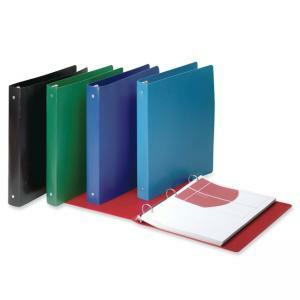 Poly binder features a lightweight, flexible cover that lasts longer than vinyl. Tearproof and durable Acco-hide cover has a matte-finish for a professional appearance. Snap loose-leaf documents into the three round rings.